Like other businesses, nonprofits also need to have definite marketing strategies to follow. And without putting a definite plan in place, they are bound to fail. 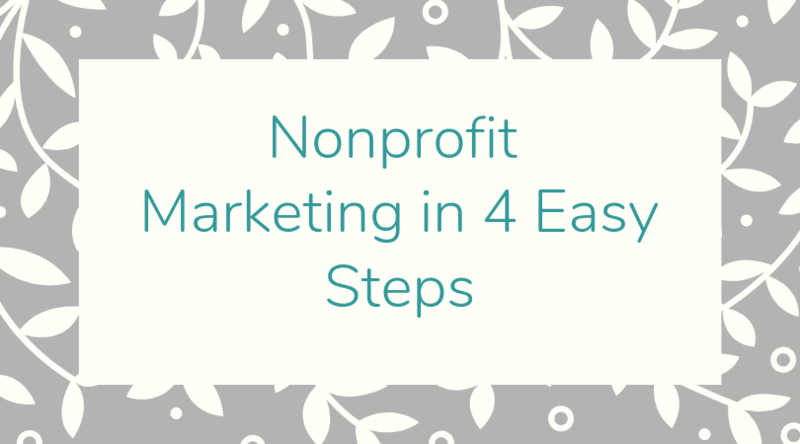 Here’s 4 easy steps that outline how to do your nonprofit marketing. Creating awareness of your organization, and helping people understand your vision is very critical to the growth of your business, whether profit or nonprofit. For this reason, marketing is very essential. However, a lot of nonprofit organizations pay very little attention to the aspect of marketing. They feel that because of their position as nonprofit organizations, people would automatically reach out to them and make donations. Just like every other business, if people are unaware of your nonprofit organization and your vision, why would they make donations to your organization? Contrary to popular belief, marketing is not only aimed at making sales or getting donations. It is also a great way for nonprofits to meet the needs of both the consumer and donor. The first step is laying out a concise marketing strategy. This is the first line of action for every business – whether profit or nonprofit. You need to understand and specify your target market – a particular group of people at which your products or services is aimed. For nonprofits, these are the people whom you intend to appeal to and eventually get donations from. These are people that are interested in your cause. You can break your target market into different segments such as; demographics, psychographics, income levels, and age levels. Also, you can look up other nonprofits that are pursuing the same cause as you, to help you select the correct target market. The second step is getting your organization to further develop your marketing strategy to determine the desired outcome of your marketing efforts. Your marketing efforts is aimed at creating awareness, making sales (products and services), appealing for donations, or a combination of them all. Use the information from the first two steps to create brochures and other marketing materials that gives a detailed representation of your services, donation opportunities, values and the benefits of getting involved with your organization. Here, you will need to develop a social media marketing strategy. Leverage social media to raise awareness of your organization. Social media like Facebook and Twitter are great options to easily and efficiently spread the word about your organization. The final step is to establish and uphold a professional internet marketing presence through your website. A website is an efficient way to spread vital information, news, monthly newsletters, and upcoming events. It can also be useful for building a community where people can bring up different donation options, and display the advantages of being a part of your nonprofit organization. Research and maintain your prospect and customer/donor databases. Put all these resources to full use. There can be used for special mailings, follow-up telephone calls, event invitations, alliance development, research profiling, and market segmentation. Be sure to showcase your organization’s achievements along with its goals. Showcasing your achievements, milestones, inversions, projects, activities and how your organization has affected the lives of the recipients is a very way effective of communicating with prospects. Consistently try to form an alliance with other organizations, commerce, government, advertising media, and business. This particular step has proven to be very beneficial to nonprofit organizations.